Joel happens to be a big fan of sweet potatoes however The Baron is not. With that in mind, I know this year I'm definitely going to end up with leftover sweet potatoes. So to make sure I have a plan in place for the leftovers, this recipe came in handy. It's similar to a carrot cake flavor and they also freeze beautifully. If you want to put it over the top, make some cream cheese frosting and smear it on liberally! Preheat the oven to 350 degrees F (175 degrees C). Line muffin tins to hold 12 muffins. Mix together the flour, baking powder, spices, salt, and leftover sweet potatoes in a large bowl. Make a well in the center, and pour in the egg mixture. Stir the egg mixture, gradually incorporating it with the flour mixture. Stir in the raisins and walnuts. Spoon the batter into the lined muffin tin about 3/4 cup full. 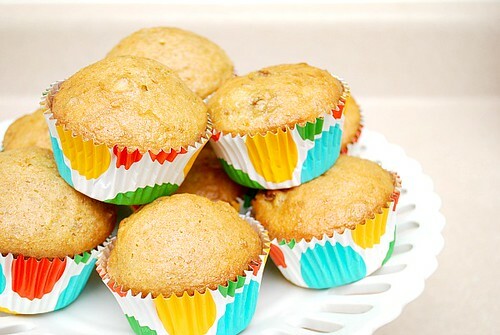 Bake the muffins in the preheated oven for 25 to 30 minutes or until a toothpick inserted into the middle comes out clean. Oh my gosh, this is too funny. 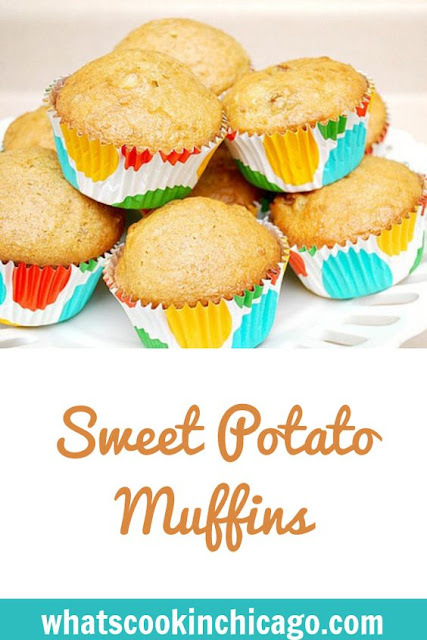 I just created a post for these muffins as well, using leftover sweet potato casserole! Great minds think alike:) Although, I added a streusel topping to mine!